Since 2013-2014 academic year, McGill University and The MasterCard Foundation partnered to offer The MasterCard Foundation Scholars Program at McGill as an undergraduate scholarship over a 10-year period to African students. Scholarships at the Masters level began from 2016-2017 academic year. Thanks to this $27 million financial commitment from The MasterCard Foundation over the next decade, the Program will provide academically talented, economically disadvantaged young people from Africa with access to quality university education. Unique to McGill, some of the Scholars will be from French-speaking countries and as such, will benefit from enhanced English as a Second Language instruction. 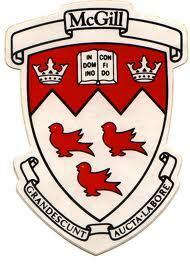 You must qualify academically for admission to McGill University. Please note that admission is competitive. You must be a resident and citizen of a Sub-Saharan African country. French-speaking applicants are welcome. All development related fields and courses at the school. However, the following programs are not eligible for funding from the Mastercard Foundation Scholars Program: Dentistry, Medicine, Law, Theology, Farm Management, Physical and Occupational Therapy, Music, and Programs from the School of Continuing Studies. Over the ten year period, McGill will welcome 67 MasterCard Foundation Scholars at the undergraduate level and another 24 at the Master’s level, for a total of 91. Complete application instructions will be available here in September. For detailed information on complete eligibility, application procedures and how to apply for "The MasterCard Foundation Scholars Program at McGill", please visit official website (link to it is below). The deadline for your application for admission to McGill University is December 10, 2017, and all supporting documents must be received by January 5, 2018. McGill will welcome 91 Scholars (67 undergraduates and 24 Master’s) from Africa over the next ten years, some of whom will be coming from French-speaking countries. The Scholars will receive full financial support to pursue their degree program and will be provided with a comprehensive support network that will include mentoring and support services, enhanced English as a Second Language courses (if applicable), and the opportunity to participate in community service initiatives, campus student engagement activities and up to two internships in Africa. The MasterCard Foundation Scholars Program at McGill is currently only available for undergraduate programs. Scholarships will be available at the Masters level beginning in the 2016-2017 academic year. Please check back in September 2015 for details on how to apply for the masters scholarship.